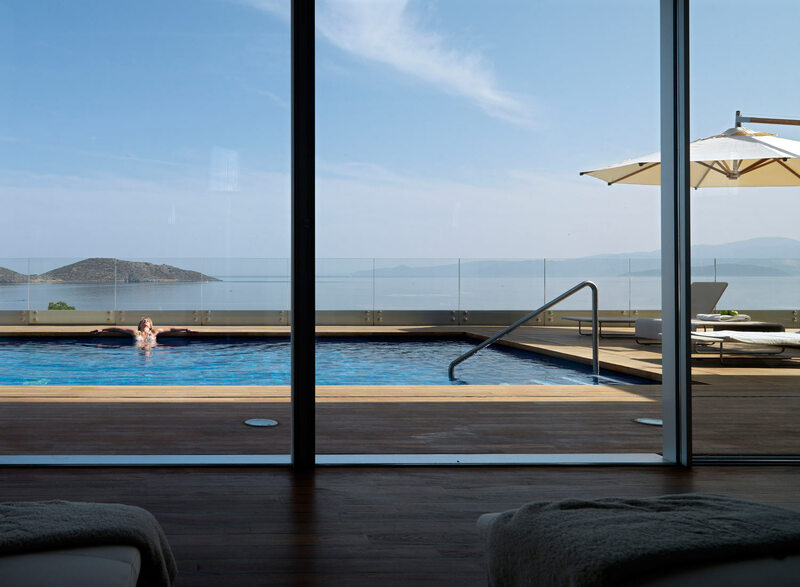 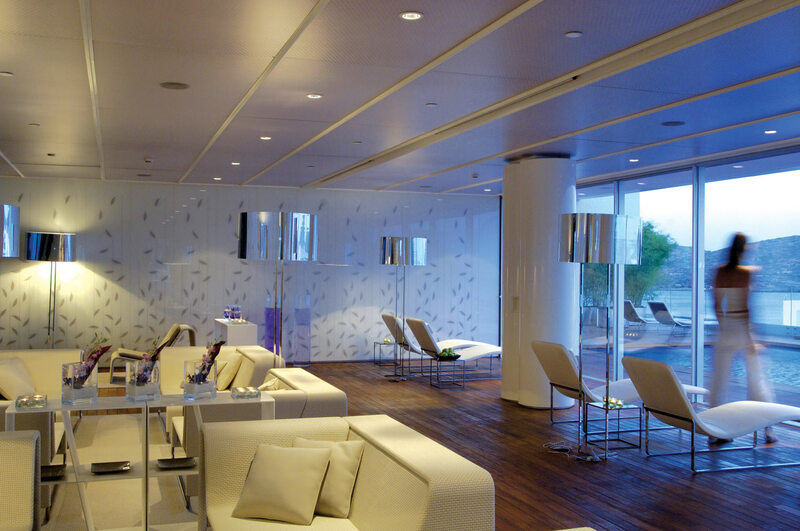 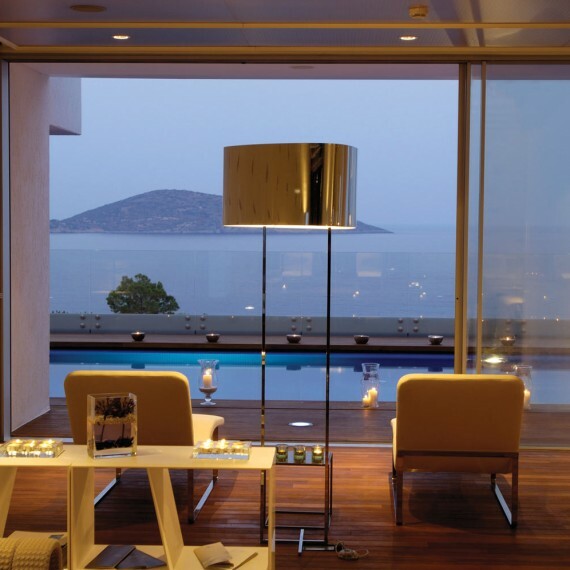 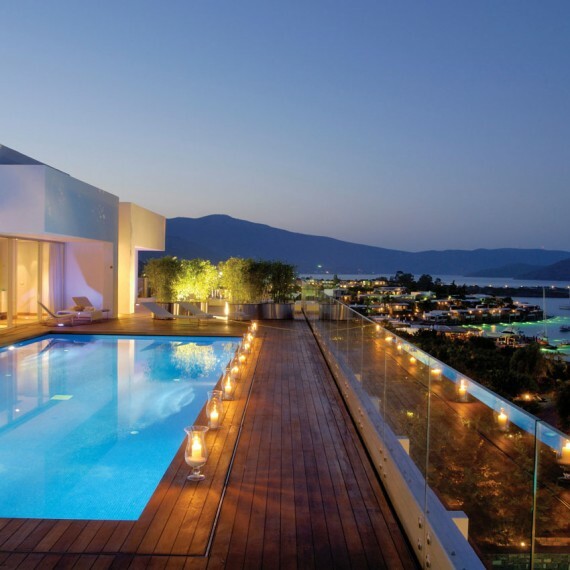 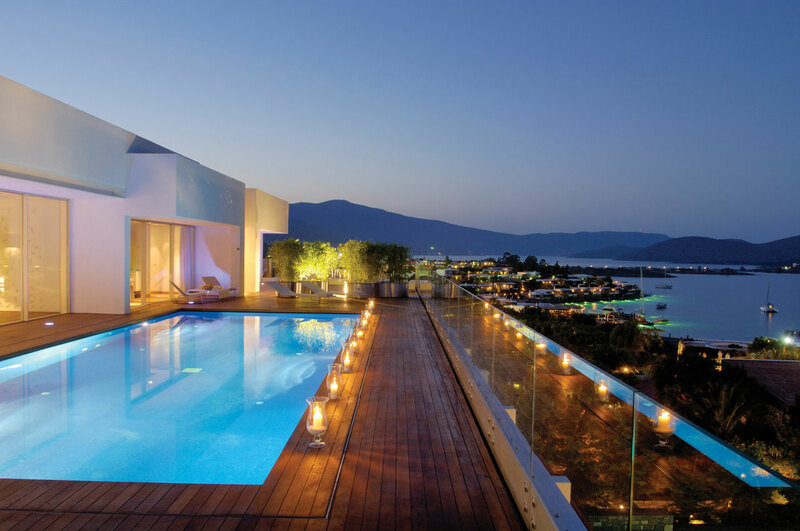 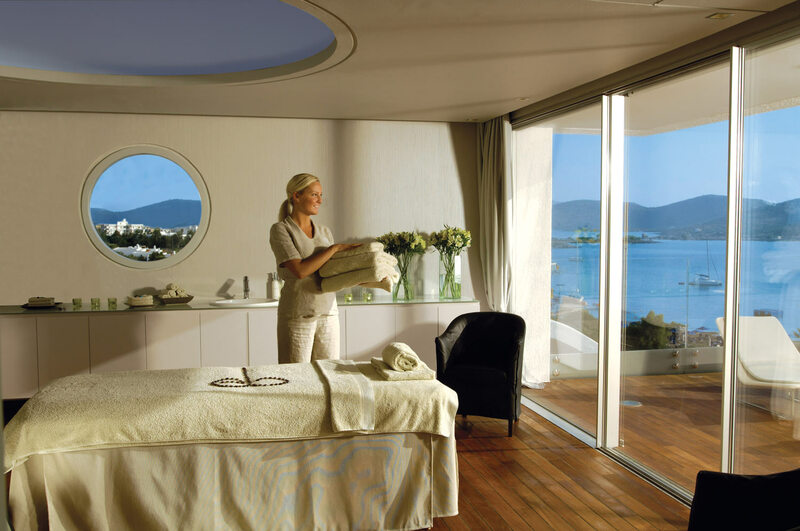 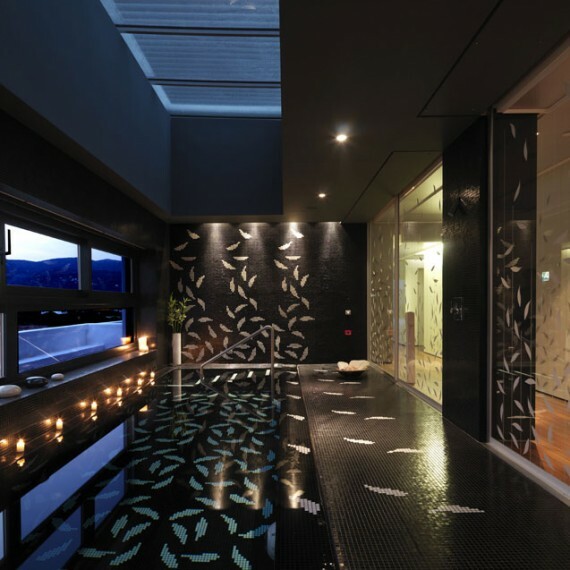 This refurbishment project of the Elounda Beach Resort Hotel Crete penthouse into luxury spa and wellness facilities treats the internal and external spaces as a whole. 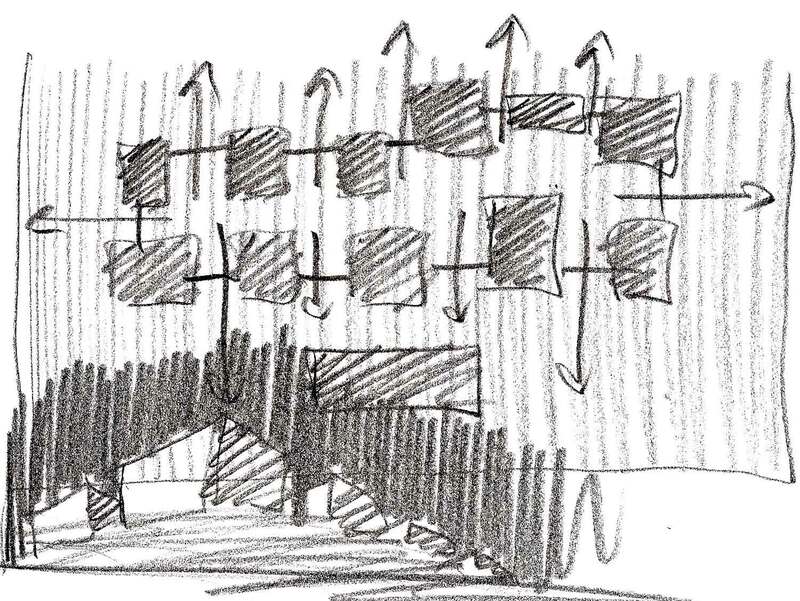 From the outset, the integration of the striking surrounding landscape has been the most important concern to the design development. 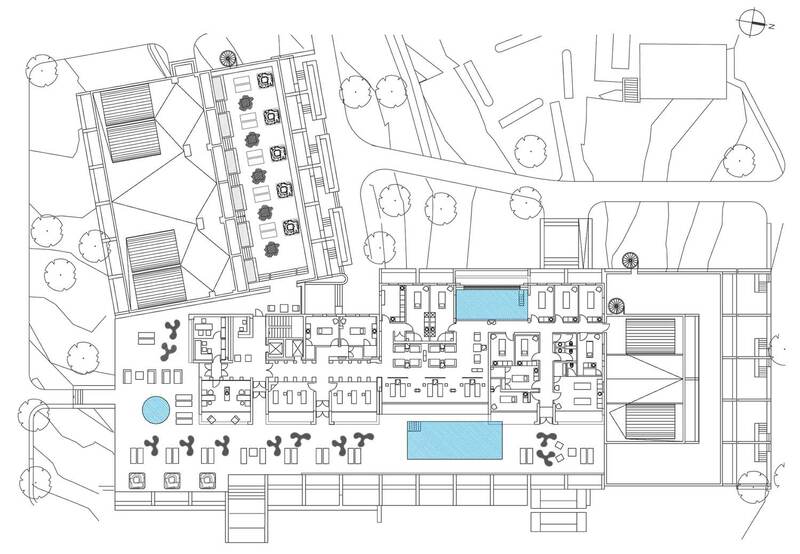 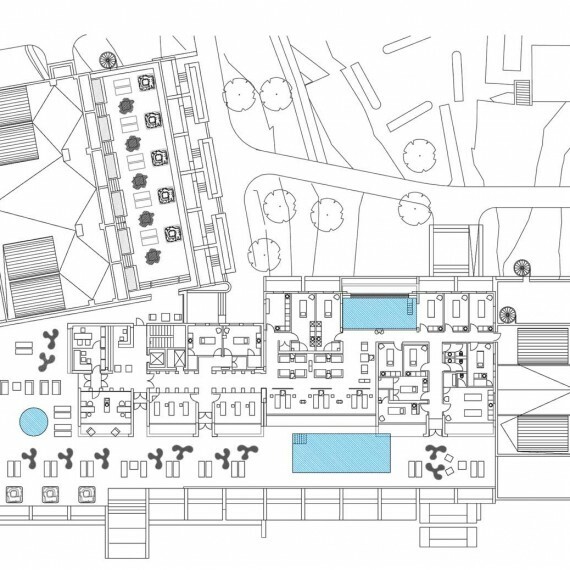 The principle intention of the project is to ensure a visual continuity between the internal and external spaces but moreover, to extend the space beyond its physical boundaries and into this remarkable surrounding natural landscape. 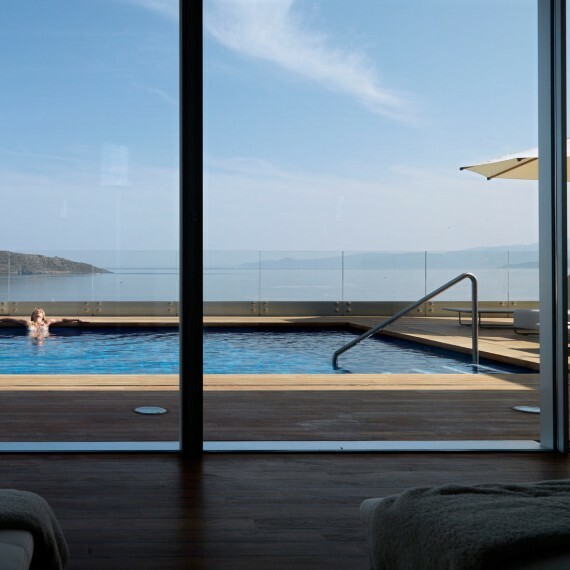 Visitors’ perception of the spaces is heightened and the feeling is one of ‘floating’ above this beautiful Cretan setting. 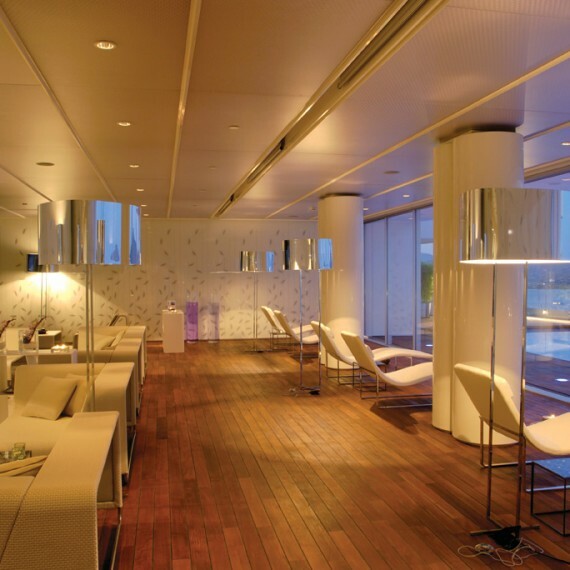 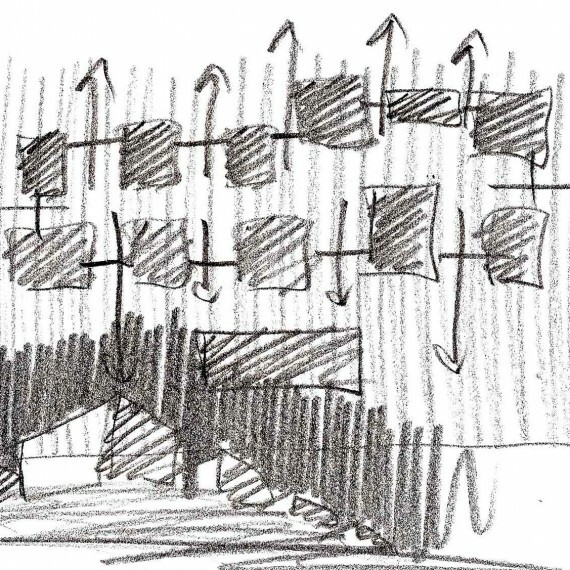 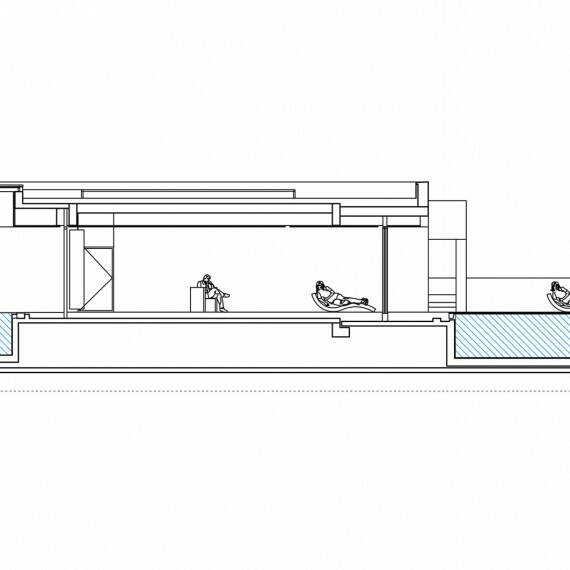 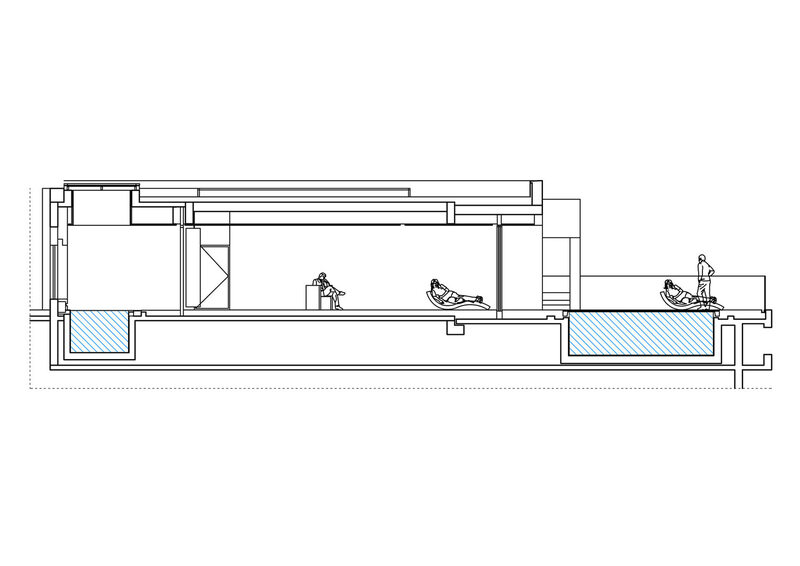 The series of Grecian-like ‘white boxes’ which host the various spa functions afford the structure a spatial harmony and are easily understood and navigated by visitors. 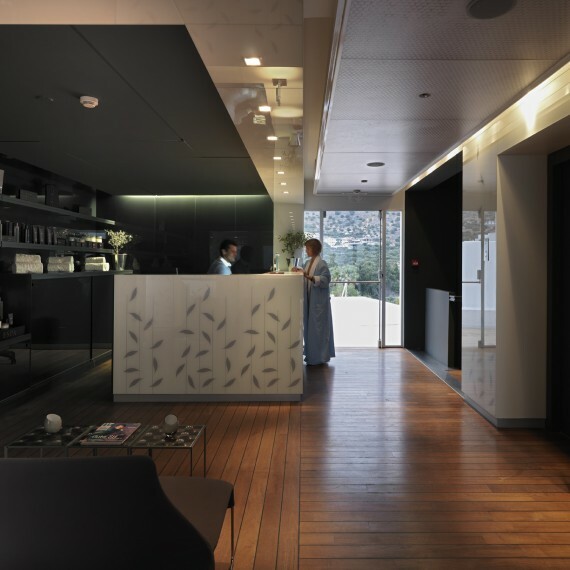 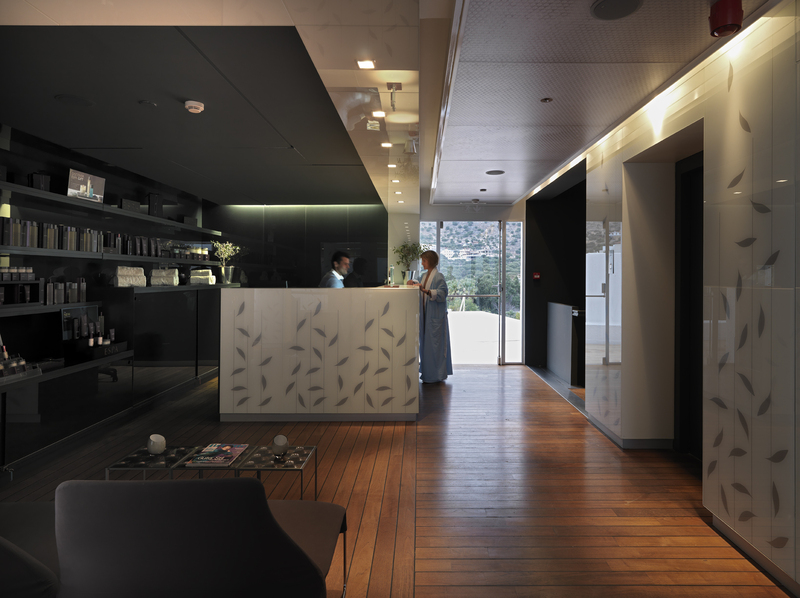 The material, colour and texture choices create a sense of lightness, freshness and purity expected of a place in which body and soul are pampered and treated. 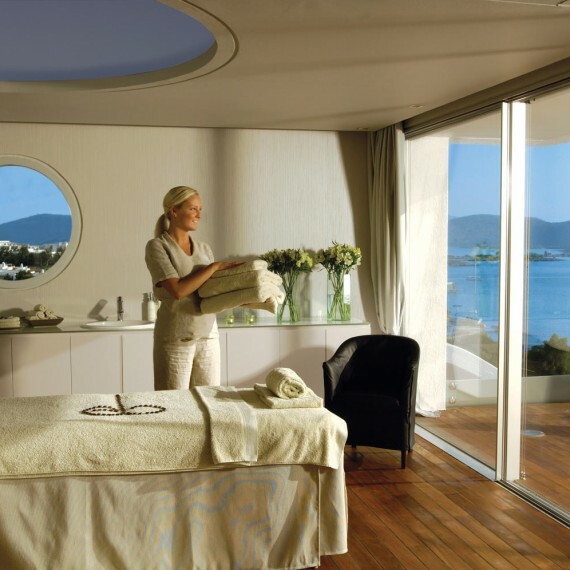 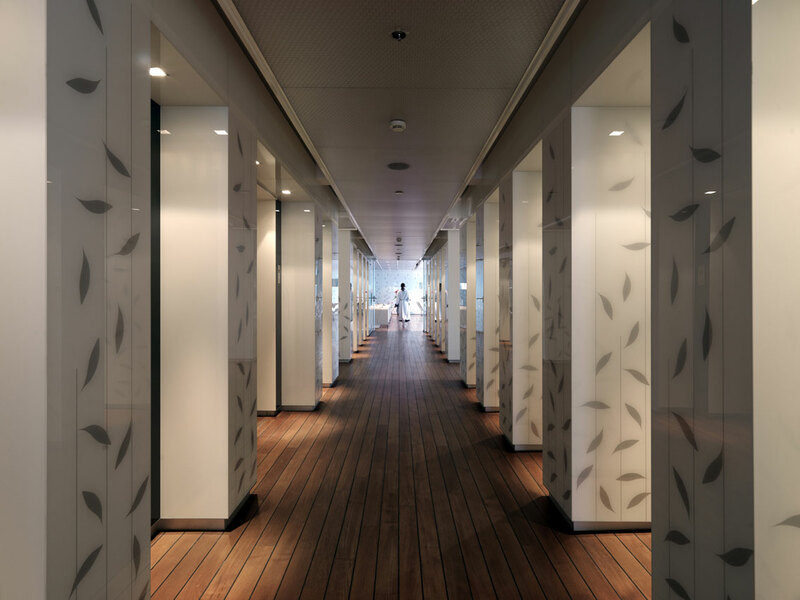 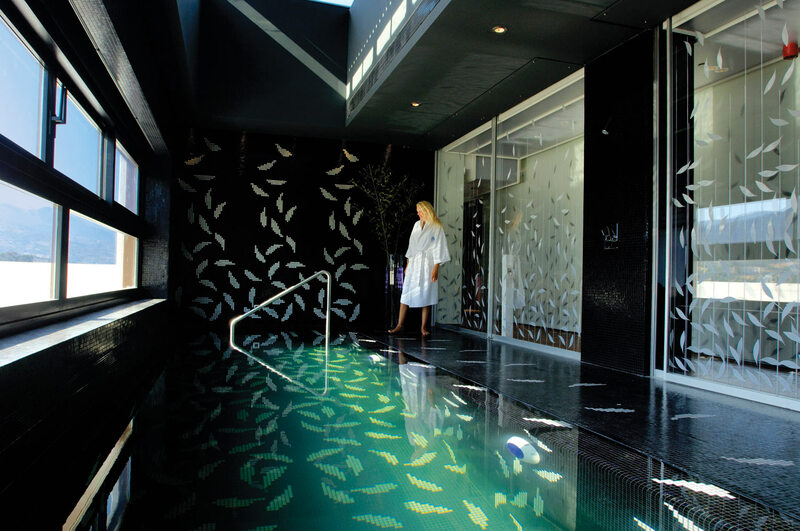 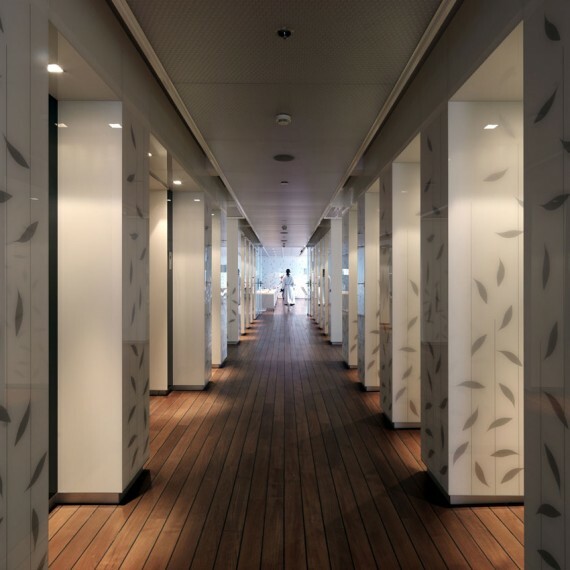 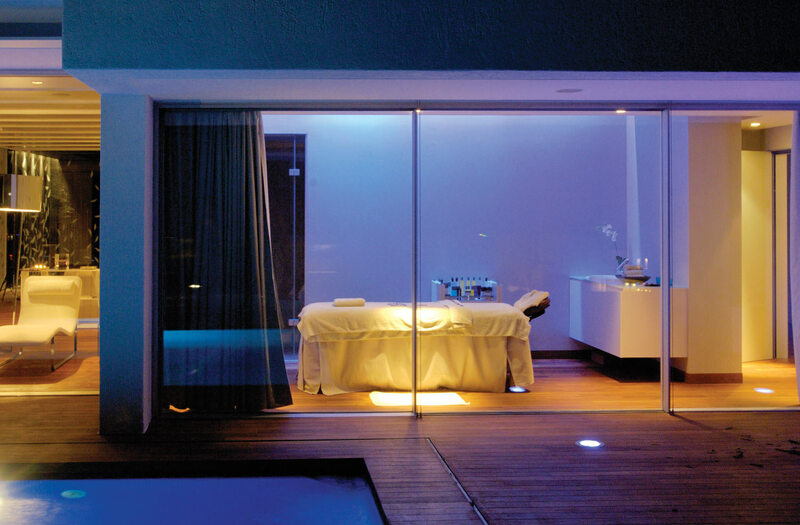 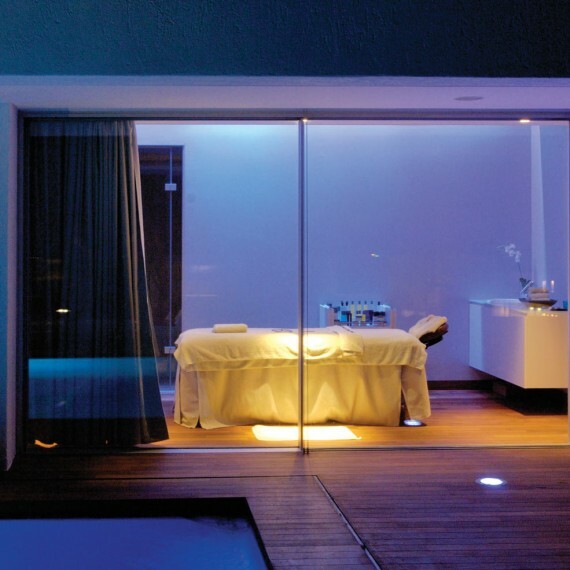 On arriving to the second floor reception, guests have access to two ‘paths’- humid (water based treatments) or the second path- facials, massage and body treatments. 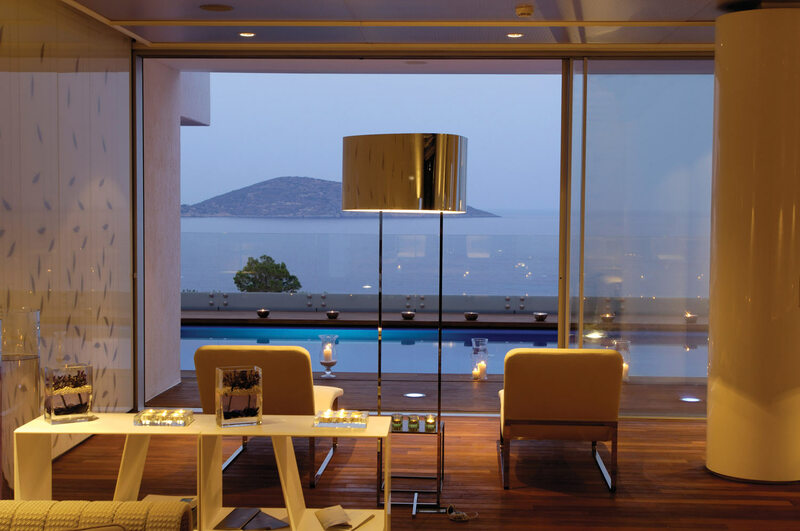 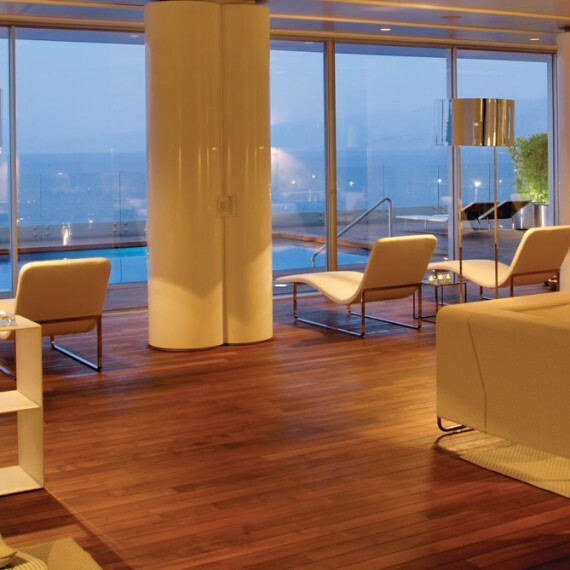 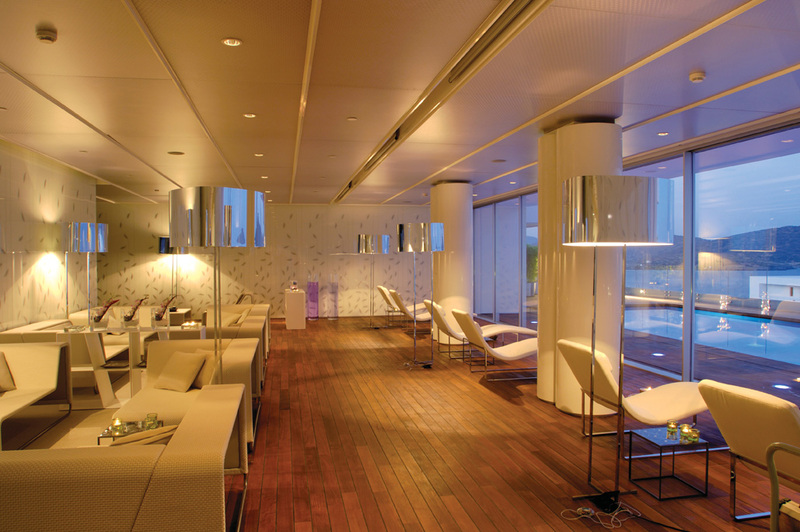 From the large lounge area through the glass partition, guests can enjoy uninterrupted views out to the panoramic pool and beyond to the islets and Aegean Sea. 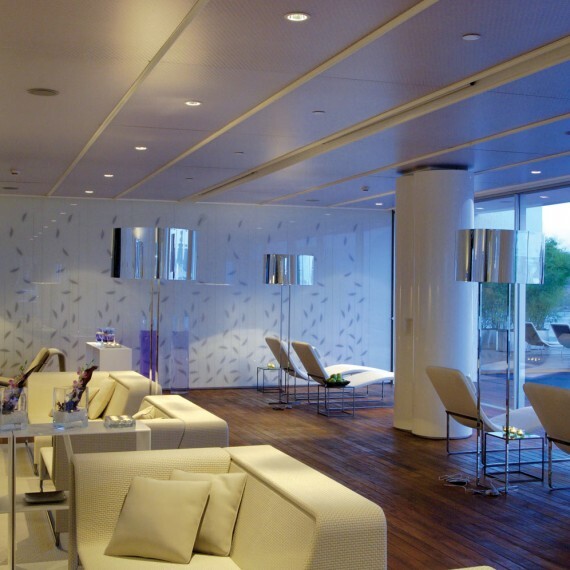 The interior spaces, characterised by the use of ‘light’ materials such as glass and translucent panels for walls and ceilings, create a calming serene, visual neutrality and are gently animated by the effects of reflection, while the surrounding landscape dominates the space and sheds its colours. 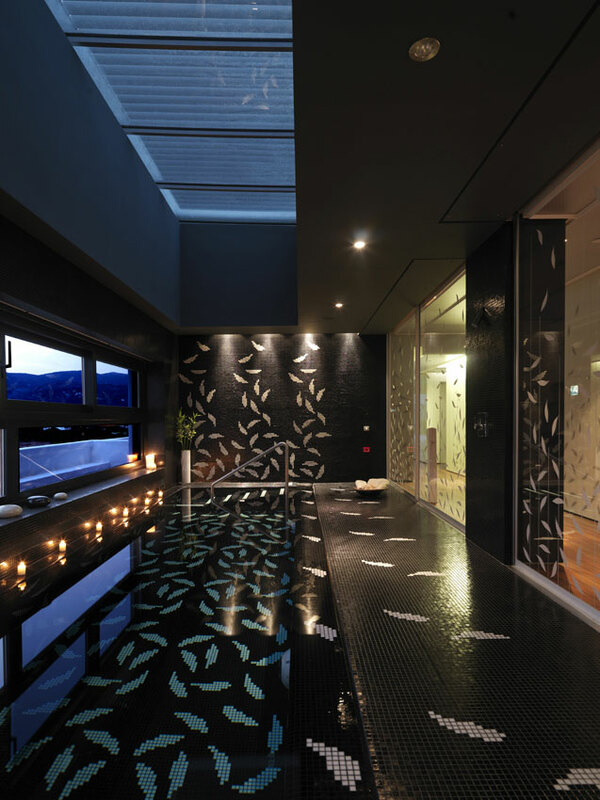 The only exception to this palette is the reaction tub which is dramatically fitted out with black marble and printed glass. 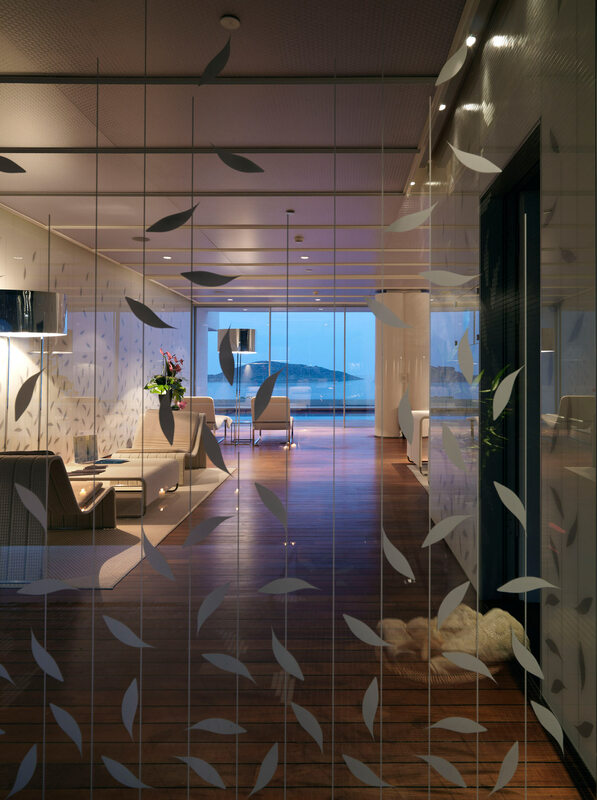 The essentiality of the materials and the screenprinted graphic sign of the ‘leaves’ pattern (inspired by the local landscape) used throughout the scheme, contribute to stretch the perspective throughout an atmosphere of pastel colours and lightness, emphasised by the use of indirect artificial lighting at night.